If your little ones are the next Steven Spielberg in the making then they all have to start somewhere. Enter the Stikbot Pets. These posable little creatures will start them on their way to silverscreen stardom all thanks to a free animation app. 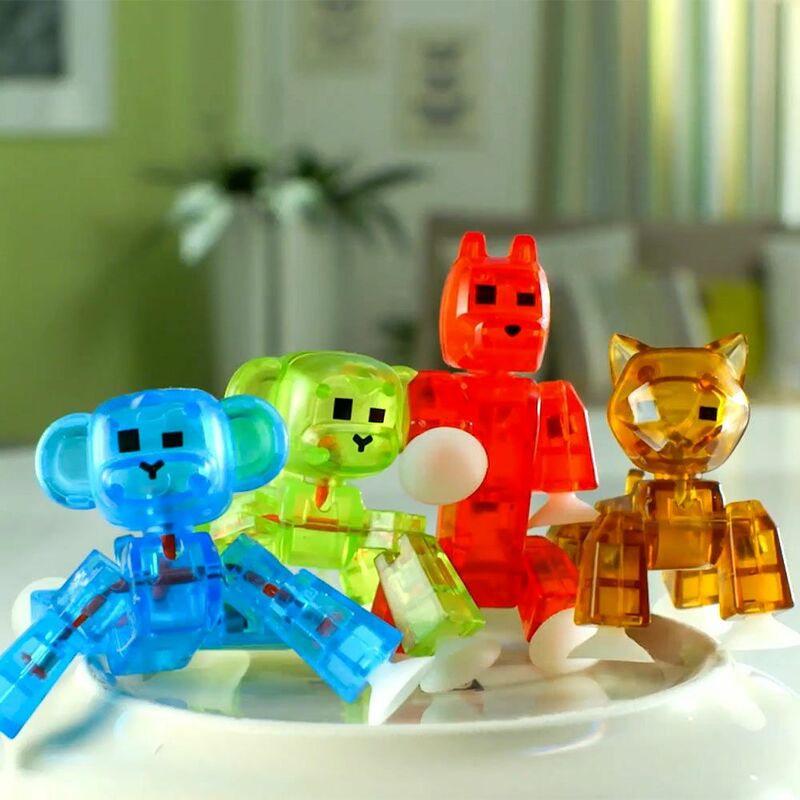 Each Stikbot Pet is posable and features suction cup feat to help keep them in place. Add in some stop motion wizardry and you’ve got yourselves a blockbuster movie quicker than you can say lights, camera, action! Featuring bulldogs, dogs, cats or monkeys there’s a whole host of creatures to start an animal adventure. When the last scene has been shot and edited you can easily upload to social media sites or youtube for everyone to see. No batteries are needed but you will needed an iOS or Android smartphone to capture and edit the footage. Again this is all done via the free stop motion app. The Stikbot Pets are the perfect toys to ignite the imagination of kids and might even set them on their way to their very own Hollywood star of fame! There are lots of Stikbot Pets to collect, but remember each pack only contains one and we don't know which one you're going to get, so it'll be an exciting surprise when it arrives!